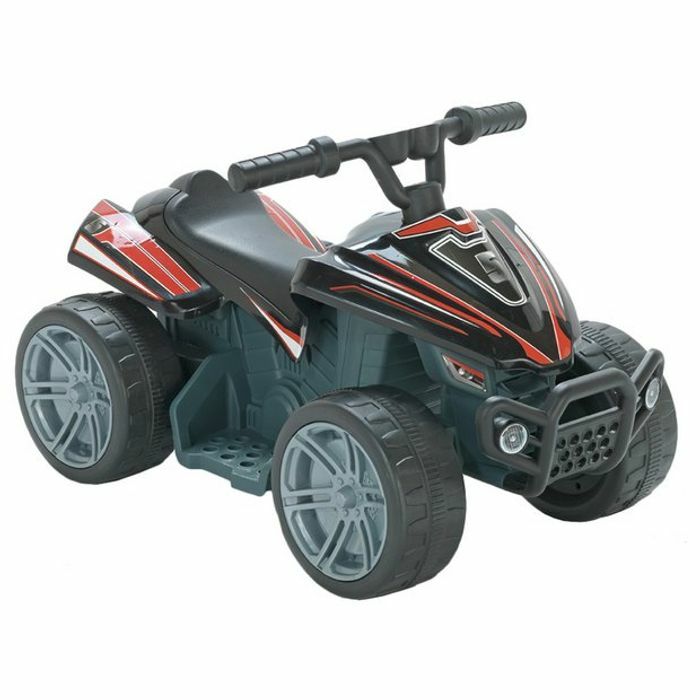 This electric Quad Bike provides hours of fun and excitement! The Quad makes playing out much more thrilling, as you can zoom and roam around with friends. It's supplied in a cool black and red design. Features include 22w motor, easy grip handles with handlebar steering, 4 chunky wheels, front bumper bar and foot rests. This Quad Bike is powered by a 6V rechargeable battery and button to decide the direction you want to go, providing hours of fast-paced fun outdoors. This Quad Bike is powered by a 6V rechargeable battery and button to decide the direction you want to go, providing hours of fast-paced fun outdoors.